Keep up to date on available products and pricing. Download the latest version of our order form by clicking the button below. 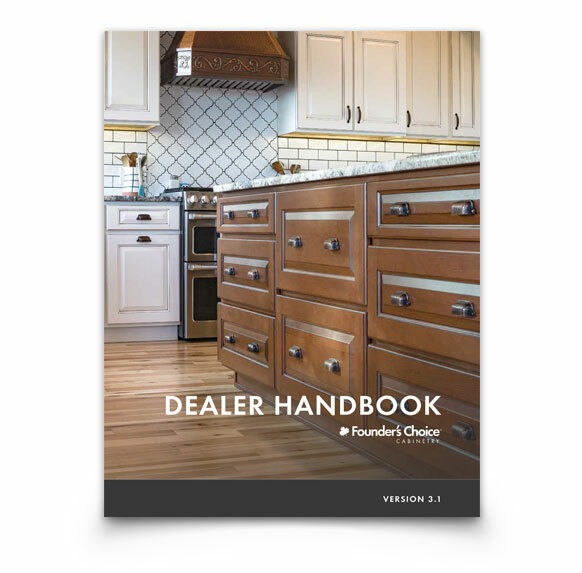 Our official handbook is provided to help our dealers communicate with the Founder’s Choice Order Desk. 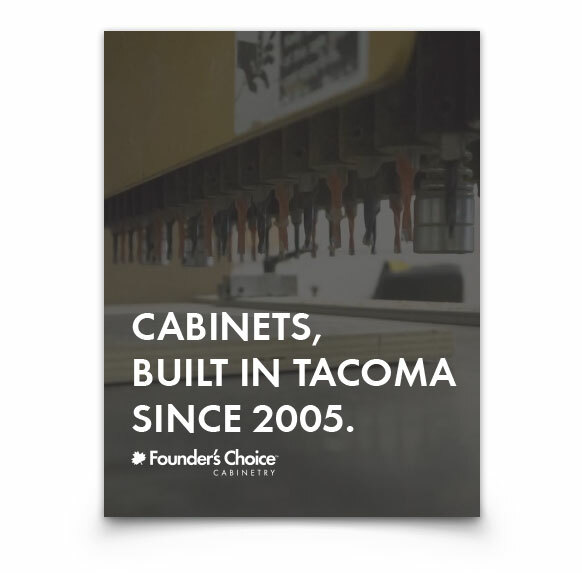 It includes detailed cabinet specifications, a glossary of cabinetry terms, and much more. 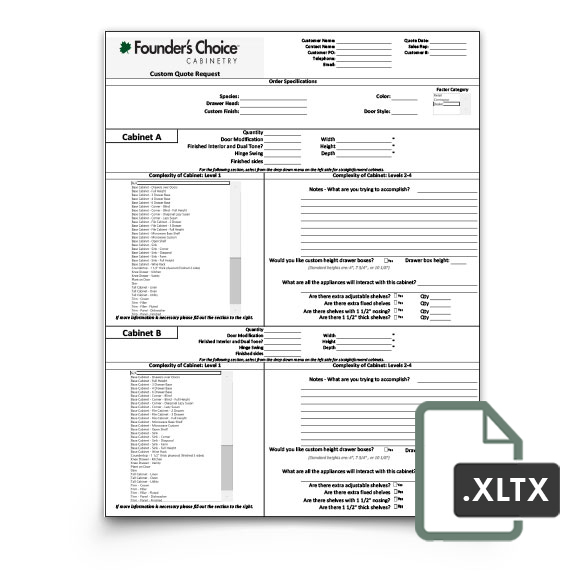 This form is used for ordering a custom cabinet from Founder’s Choice. After filling out a request please submit your order to our Order Desk for review. A useful tool for organizing all of the information needed to start a new design project. 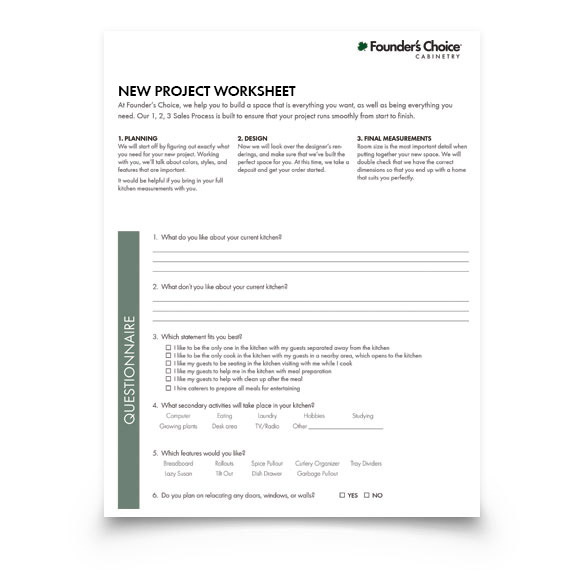 This worksheet includes plenty of space to record information, a questionnaire, and a layout grid. 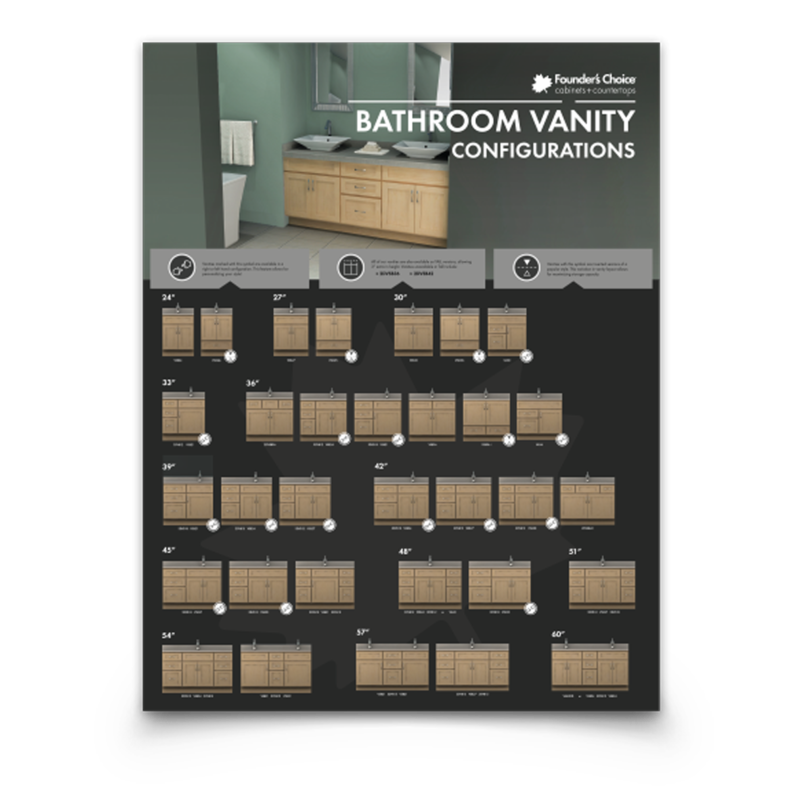 Founder’s Choice has a large variety of vanity configuration options from which to choose. This easy to read vanity board clearly lays out the options via defined icons and easy to understand cabinet renderings. 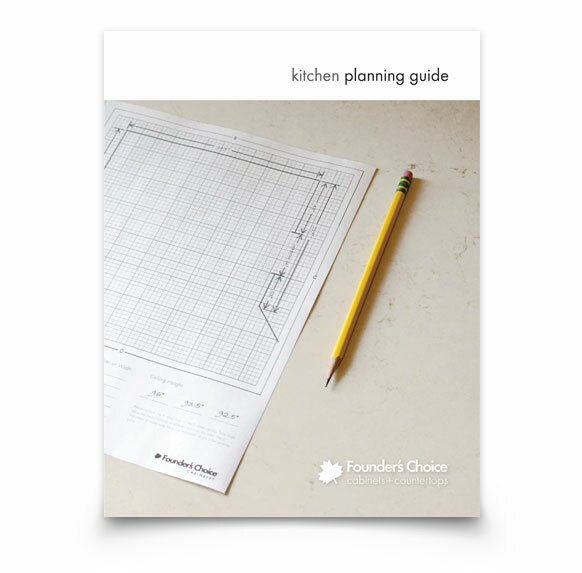 We have created this guide to help you keep your customers informed throughout the process of designing a new kitchen. This tool will help guide the designer cater to individual needs and preferences of different clients. This brochure provides a brief overview of our company and what we offer in our Dealer Program. We support the industry standard in kitchen design software: 2020 Design. Please ensure that you have up to date catalogs loaded onto your machine. The entirety of our Craftsman and Select catalogs are available through ProKitchen. 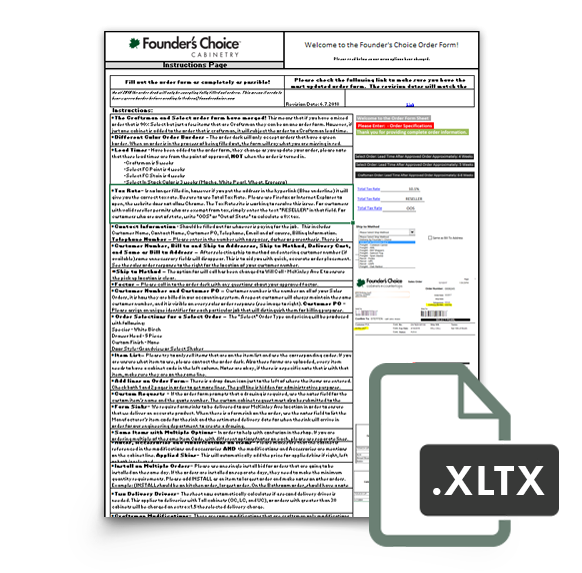 We can also provide assistance by purchasing licenses through Founder’s Choice. Click here to start a free trial of ProKitchen.